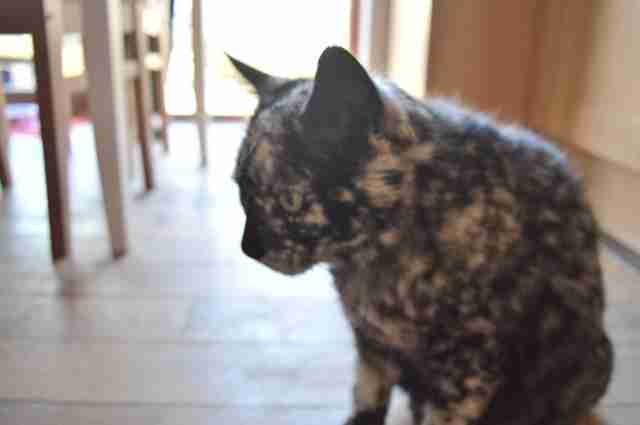 Scrappy the cat started out all black, according to his Facebook page, but as he got older, white patches started appearing on his fur. 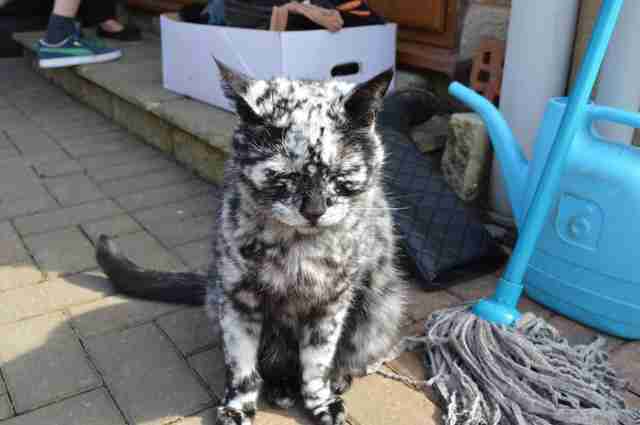 Now the 18-year-old kitty is a mesmerizing blend of black and white - and sweet all over. Scrappy's humans run a Facebook page for him, and his days are full of snoozing in the sun and hanging with his doggy brother. 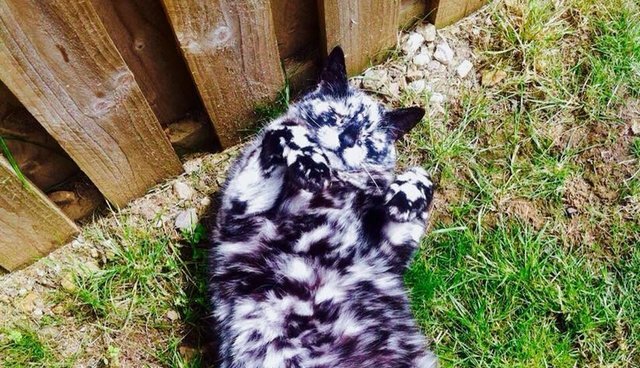 His family thinks vitiligo may be the cause of Scrappy's dramatic transformation - but whatever's behind his beautiful look, it's clear that Scrappy is one cool cat, and he's got kitty fans from all over the world. 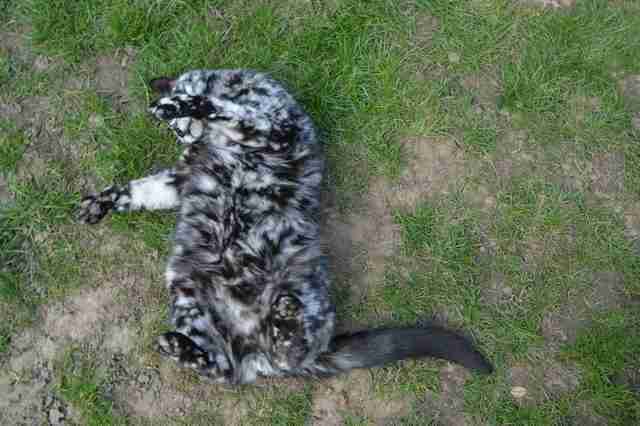 It doesn't really matter if he's black or white, because Scrappy is clearly happy and comfy living out his old age with his devoted humans.